Mercedes-AMG A 35 Headed to the US? Slideshow: The Mercedes-AMG A35 has finally shown its face ahead of the Paris auto show. Will the hot hatch make it to the US? 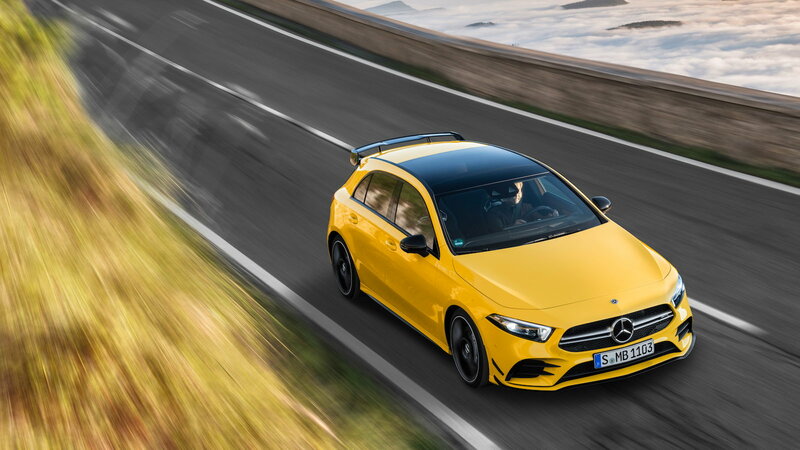 Mercedes-Benz has revealed the AMG A 35 ahead of the Paris auto show, along with the news of the A 45 and A 45 S to be introduced in the near future. I have been a fan of the hatchback A-Class since the current generation was introduced. And an AMG hatchback is a car I need to have in my garage sooner rather than later. The new 2019 A-Class sedan is headed to the States to replace the current CLA model. The upcoming A-Class has a refined and pure design. It is packed with the newest Mercedes tech and it showcases the Mercedes-Benz brand perfectly as an entry-level compact luxury car. >>Join the conversation about the Mercedes-AMG A-Class right here in MBWorld. 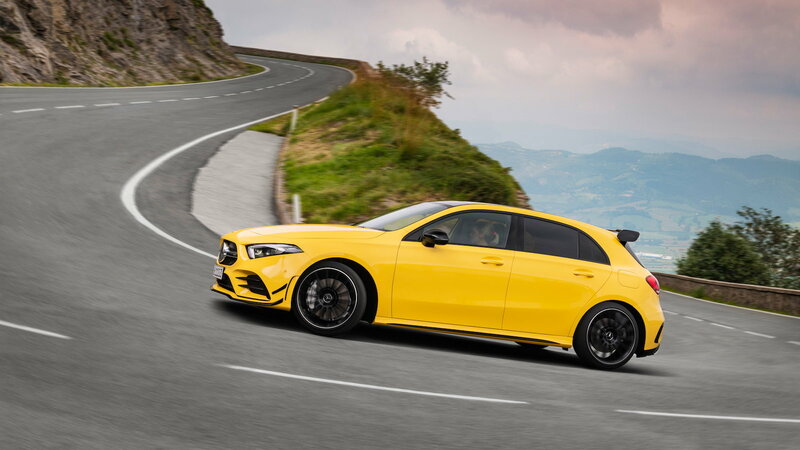 The AMG-built 2.0-liter l4 is equipped with a twin-scroll turbocharger and the A 35 possesses a plethora of performance tech to help actively improve driving dynamics. 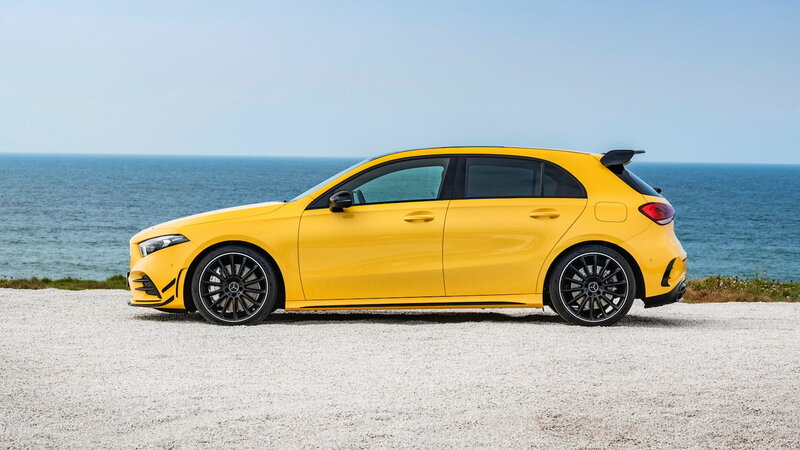 With the 4MATIC technology, the 300 HP and 300 lb-ft AMG powerplant can propel the tiny A-Class from 0-60 in 4.7 seconds and reach a top speed of 155 MPH. The CAMTRONIC variable valve control and CONICSHAPE cylinders help the engine run more efficiently. Bringing the power to the wheels is done courtesy of the 7-speed AMG SPEEDSHIFT DCT 7G gearbox. The car comes with a RACE-START feature as standard and the AMG Performance 4MATIC AWD actively creates better driving dynamics by applying torque where it's most required in order to improve handling. The driving modes offered on the new AMG model include Slippery, Comfort, Sport, and Sport+. As with other AMG cars, there is also an individual mode were the driver can customize settings to their own preference. AMG's adjustable suspension is also available with the A 35, and with the addition of the Adaptive Damping System, you can choose the level of the suspension's stiffness. 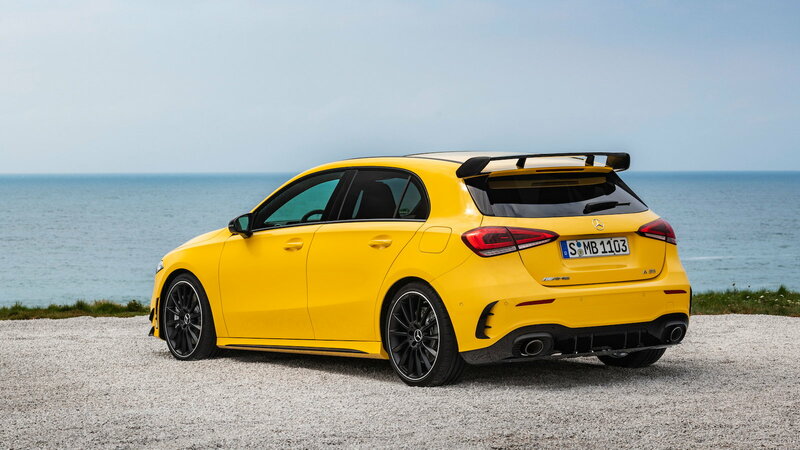 In addition to the A 35, Mercedes-AMG will be introducing the more powerful A 45 possibly capable of around 400HP soon, as well. 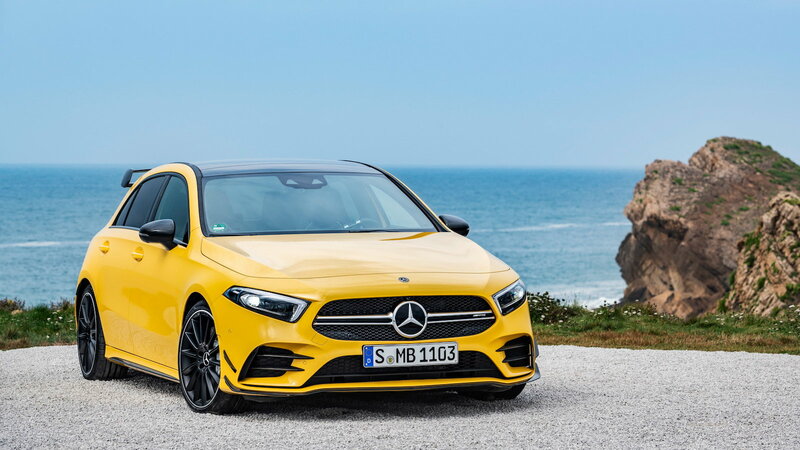 With the A-Class being the entry-level Mercedes, the AMG iterations will also act as a taste of what the performance brand has to offer with more high-end models if one wishes to take the plunge. With that said, Mercedes-Benz has been reluctant to bring the hatchback A-Class to the US in the past for one reason or another. 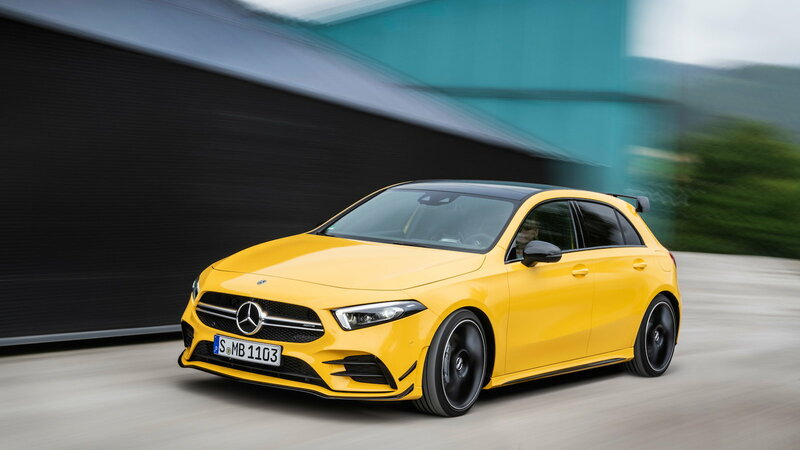 While it is presumed that we will get the AMG A-Class sedan, early reports indicated that the new hatchback will not be sold in the States. 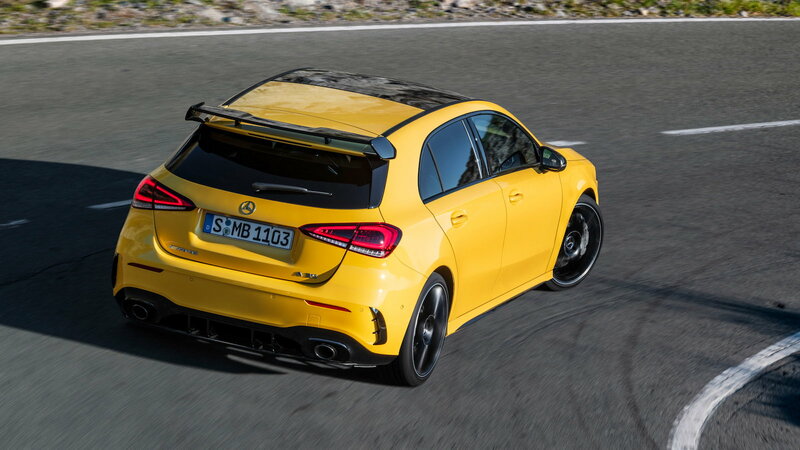 However, recent rumors following the introduction of the AMG model suggest that the entry-level AMG A35 (and the more powerful A45) hatchbacks will, in fact, be making their way to America in the future. I, for one, would be delighted to see Mercedes sell their cool hot hatch here in the Stateside. In fact, I would be the first to put in an order for the A45 S! Watch the A 35's teaser video on YouTube. Would you be interested in seeing the A-Class hatchback make it to the US?